This is designed for cutting soba noodles. 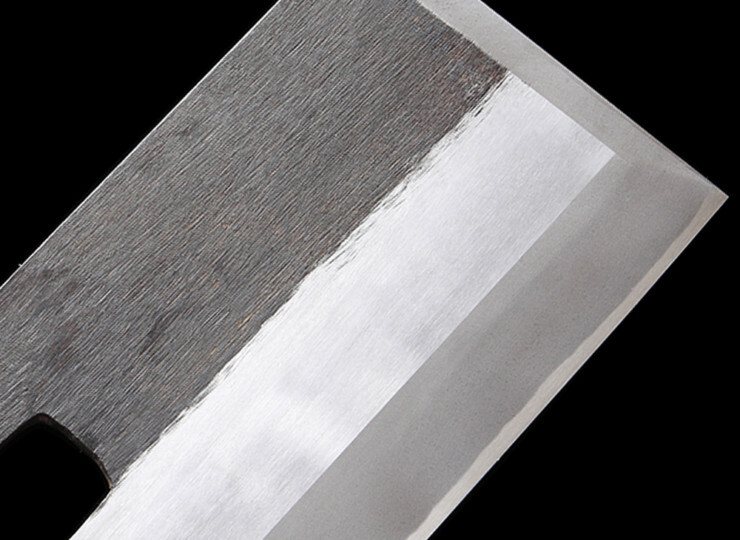 By using its weight, you can cut the soba noodles by pushing the blade forward. 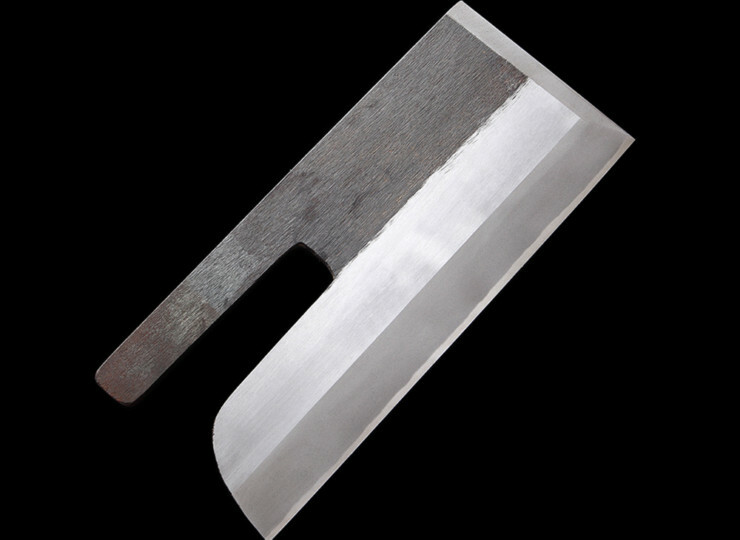 Since the blade is long, one cutting motion is enough to cut one line of soba noodles. Please be noticed that “White #2 Steel” is not stainless steel so it can be oxidized easily if you leave it wet after using it. Please make sure to keep it dry after washing it carefully.